so. with that being said, they are coming to Toronto on Dec 9th at the ACC. sure, i've seen them in concert five times already (pretty good for only being 27) but i need to go again. unfortunately, i am without a ticket... or someone to go with. i can get over the last part (damn you Jen!) but i can't get over the first part. if you have any scalper friends... or if you are holding out on me... lemme know. i'll be a very happy girl. verrrrrry happy! 1. you were waaaaaaay too young to remember when they were super poppin! 2. 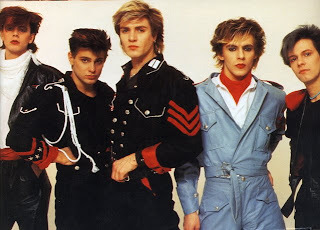 I remember my first duran duran concert in like 1984 or so. lol. Let me see if my peoples got some juice Killz, I know you are a diehard fan.